Don’t tell anyone, so you can be the first to get the new Back Issue magazine (#72). 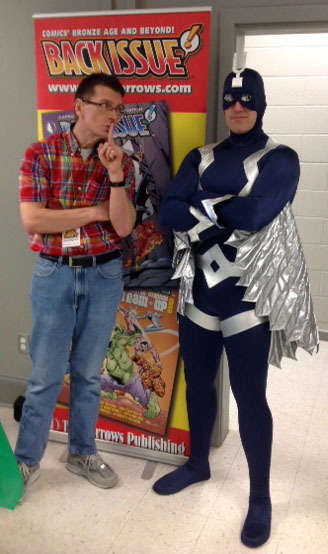 As you can see above, editor Michael Eury is doing his part to make sure the word doesn’t get spread around (at least not among the Inhumans…). 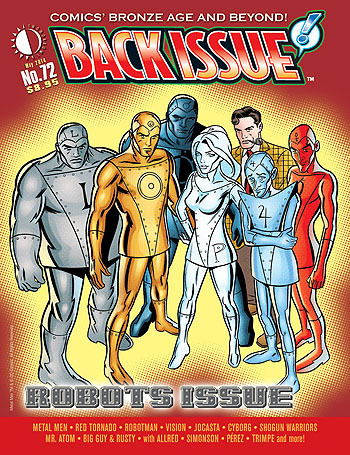 This shiny new “Robots” theme issue got back from the printer a little early, so we’re going ahead and mailing it to subscribers, and putting it on sale a week early! You can order now, or just view our sneak preview at this link.